Not all the Brisbane talent at the Olympics is taking part in sports. Laura Nolan reports. The 2012 Olympic Games is set to kick off in London on 27 July and all eyes will be on the athletes but behind the muscle and cheering mobs is plenty of Australian talent making its mark away from the sporting battlefield. One unsung hero of the London Games is Brisbane-born architect Rod Sheard. Sheard is the senior principal of leading sports architectural practice Populous and was design leader of the team behind the main Olympic Stadium and he oversaw the Olympic precinct master plan. A ‘typically Aussie” European adventure after Sheard graduated from university in the late 1970s turned into a love affair with Britain and he soon decided to relocate. It wasn’t long before he was working on some of the world’s biggest stadiums, including Cardiff’s Millennium Stadium and Sydney’s stadium for the 2000 Olympic Games. A particular challenge for the London Olympic Stadium was the requirement to turn its 80,000-seat capacity into 25,000 seats after the 2012 Games. “When we set out on the exercise nobody had the foggiest idea how we were going to do it,” he says. Sheard decided to build the stadium in separate sections, including a large upper segment of the ‘bowl’ of the stadium which could be removed after the games to reduce the seating capacity. The cultural side of the Olympics is also a big drawcard for spectators. The London 2012 Festival is a huge cultural spectacular on from 21 June to 9 September to celebrate the theatre, art, music, dance, comedy, heritage, spoken word and culture of Britain and other nations, and there have been a number of Australian performers taking part. Star actress Cate Blacnchett and the Sydney Theatre Company performed in stage production Big & Small, the South Australian Precision Dance Team appeared at the Big Dance Festival at Trafalgar Square, Melbourne theatre company One Step at a Time brought their production of En Route to the Theatre Royal Stratford East and the Indigenous performance group The Black Arm Band performed with Welsh folk band 9Back at Greenwich Old Navy College. 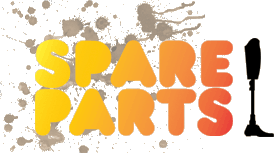 Wavell Heights resident Priscilla Sutton is also in London with her somewhat unusual art exhibition, Spare Parts. 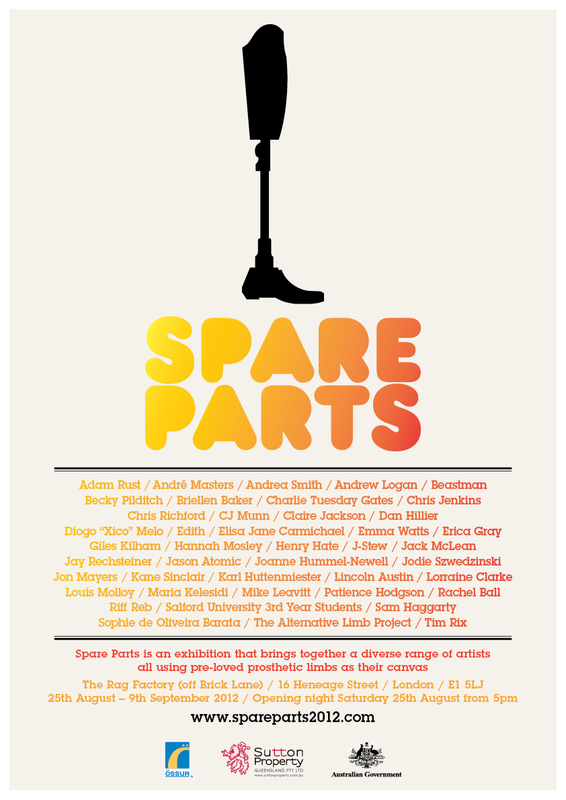 The show features used prosthetic limbs that have been recycled in works of art by artists from around the world which debuted at the Brisbane Powerhouse in 2010. 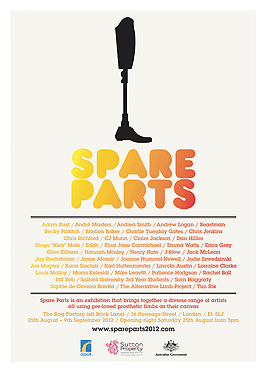 The exhibition will show at The Rag Factory, London, from 25 August to 9 September, and will showcase 44 artists from around the world including Australians Lincoln Austin, Andrea Smith, Erica Gray and Tim Rix, plus David Beckham’s London tattoo artist Louis Molloy, Seattle sculptor Mike Leavitt and French comic artists Riff Reb and Edith.